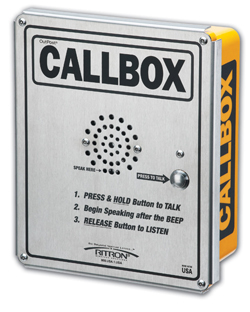 The Ritron Radio Outpost Callbox intercom system allows for long range wireless radio communication at fixed locations. This allows security personnel or staff to be alerted when a client or customer enters a location, or is in need of assistance. This intercom system utilized two way radios and radio frequencies to allow for reliable and long distance communication. 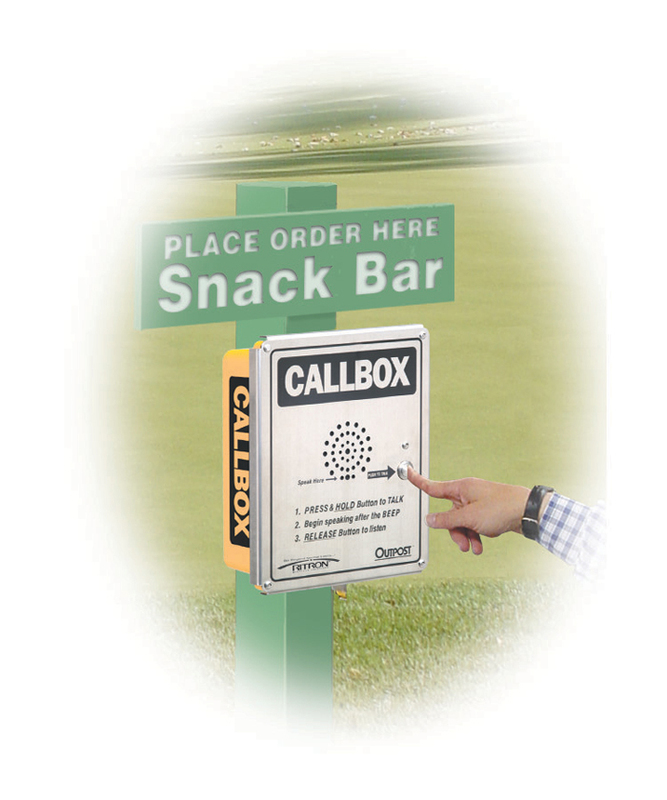 Ideal for use in applications by golf courses, airports, construction sites, schools, and many other types of businesses. The XT or heavy duty model is ideal for outdoor use, allowing visitors or employees to interact with security or service personnel from a remote location. The XT model is equipped with a heavy duty enclosure. 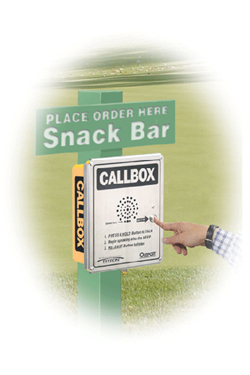 This Callbox, being fitted for outdoor use, would work well in applications such as in parking lots, at erected construction elevators and other exterior construction site areas, on school playgrounds, and any other locations where security personnel or other employees may be needed but are not routinely stationed. 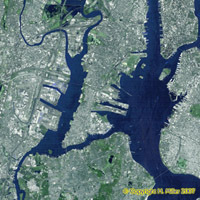 The regular, or light duty model, is fitted for indoor use and is equipped with a light duty enclosure. Ideal for use at indoor locations where service personnel are not present, such as in waiting areas, gymnasiums, offices, or other indoor locations. 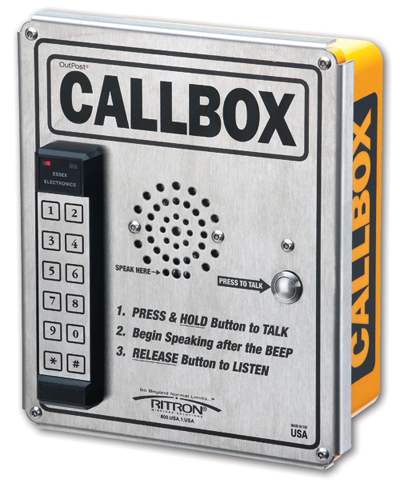 1 Series Model providing the basic feature set for simple callbox communication applications, and allows use in narrow or wide bands. D-cell battery power, or choose a compatible power supply in the accessories section. 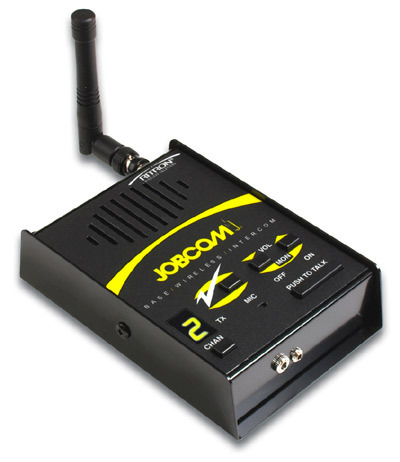 6 Series model includes all of the features of the 1 Series , and also provides a built in relay for remote control, decode 2-tone, encode DTMF ANI, and sensor inputs. Allows use in narrow or wide bands. D-cell battery power, or choose a compatible power supply. 7 Series model includes all of the features of the 6 Series , and also provides voice storage, voice greeting and voice alert, AC fail and low battery voice alert, encode/ decode 3-7 tone (Selcall), along with a remote “listen-in” feature. Allows use in narrow or wide bands. D-cell battery power, or choose a compatible power supply. 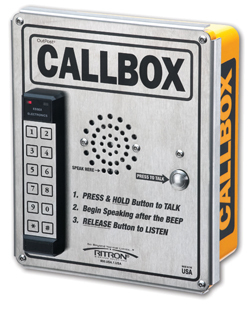 VHF Model, ideal for use where there are no hills between the callbox location and the base station or security personnel. UHF Model, ideal for use where there are hills between the callbox location and the base station. Two bandwidths available for most models.